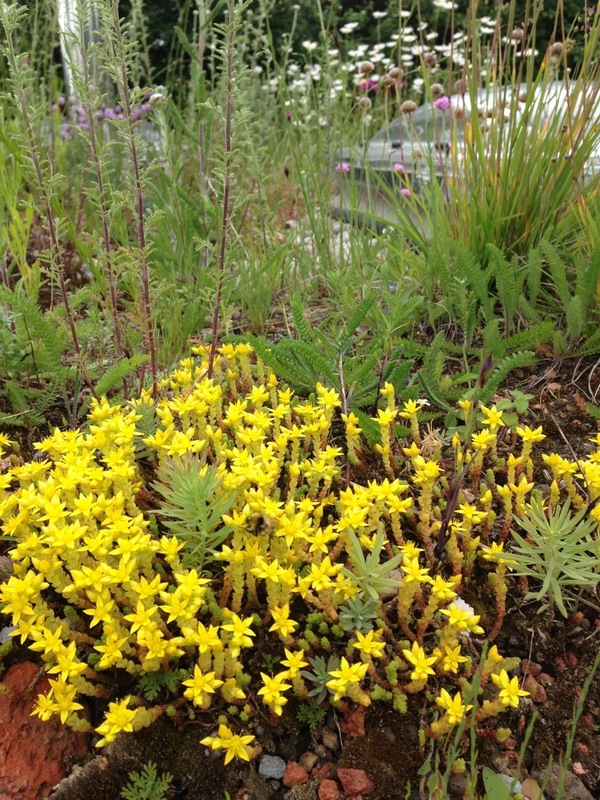 One of the sedums that make up the ‘sedum mats’ widely flogged as ‘a green roof’. We have spent many years trying to lose this default planting and its accompanying thin soils and mats. Once you start adding more variation in soil depth to your roof, you open up a wonderful mix of plants/textures and wildlife, so get more soil up there if you want more out of your roof than just 2 inch high succulents. (Sorry rant over, this plant is a great addition to any green roof).